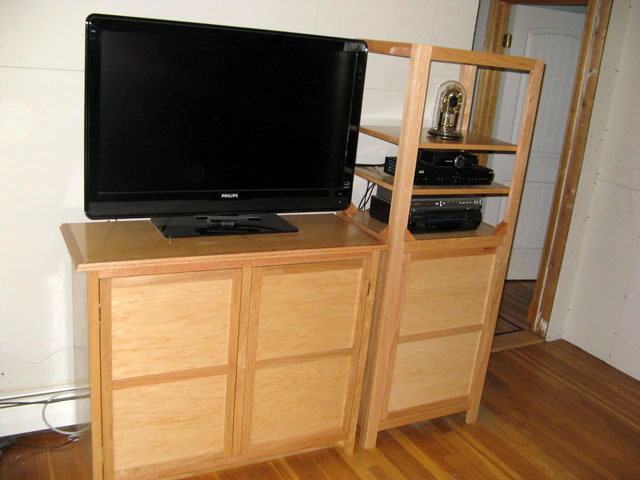 We built this matching pair of storage cabinets and shelving for use as part of a home entertainment center. 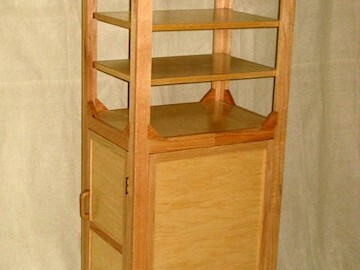 The tall tower cabinet has open shelving above, for easy access and display of household items. The bottom half is composed of a closed cabinet with hinged door. All the shelves are adjustable. The lowboy cabinet has side-by-side closed shelving to store the clutter that tends to accumulate in well-used rooms. 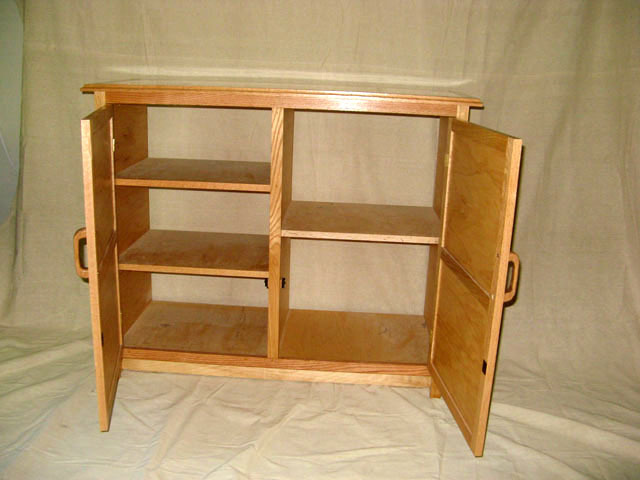 There is ample surface area on top of the cabinet to place a television or other electronic components. 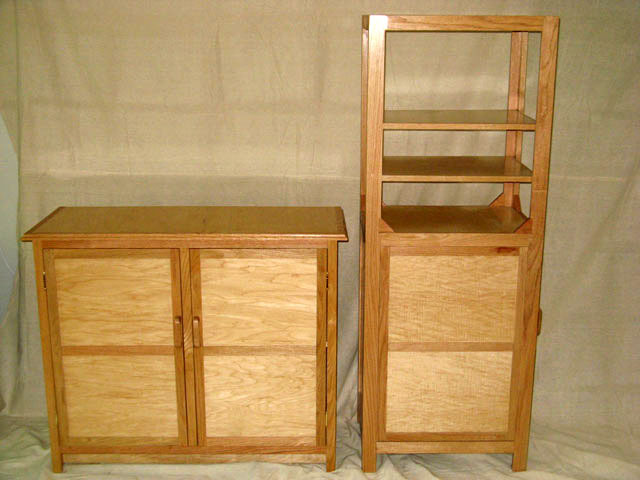 Both cabinets are constructed of oak frames with maple panels. The woods were chosen for their durability and the decorative contrast of the colors.